Gaye M. Bartulis is Katten's Director of Human Resources. In this capacity, she oversees benefits, compensation, employee relations and related policies, HR systems, payroll, as well as recruiting for business professionals. Gaye has played an instrumental role in the firm being named as one of Working Mother magazine's "100 Best Companies" and Working Mother and Flex-Time Lawyers "50 Best Law Firms for Women" over the past 10 years. Before joining Katten, Gaye spent nearly 20 years at Arthur Andersen LLP where she was a principal responsible for employment matters for 28,000 employees across North America. 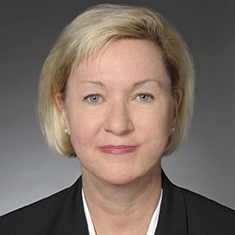 During her tenure, she helped Andersen achieve recognition on Fortune's "100 Best Companies to Work" list. She was a key player in the wind-down of the human resource operations for Andersen across the United States. Gaye is a former board member of the YWCA of Dallas, Texas. Shown below is a selection of Gaye’s engagements.